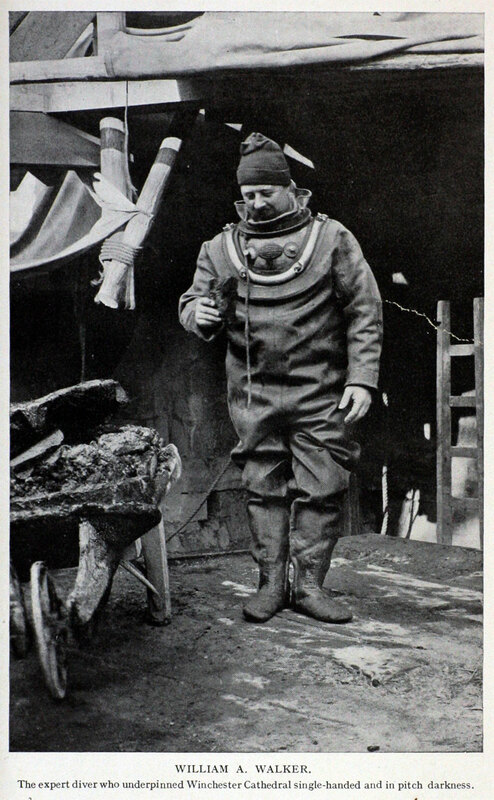 William A. Walker, the diver who worked under Winchester Cathedral. Sir Francis Fox (1844-1927) was an English civil engineer, who was responsible for the bridges over the Victoria Falls of the Zambesi and Sydney Harbour, the Mersey Railway Tunnel and the Liverpool Overhead Railway, and extending the London Underground. 1844 Born in Derby, England, he was one of three sons of the noted engineer and contractor Charles Fox. 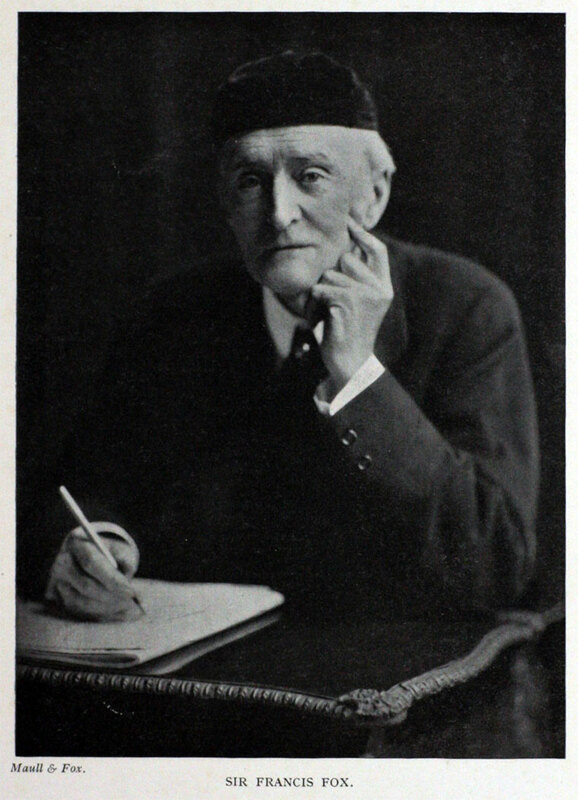 In 1857 he entered into business with his father and his brother Charles Douglas, and in 1860 the three formed a partnership, the firm being known as Sir Charles Fox and Sons. 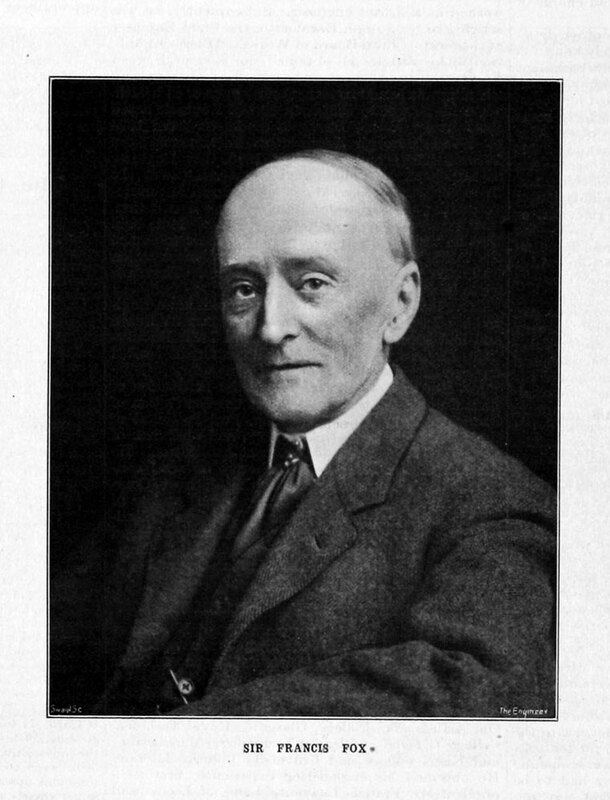 He became an engineer for the Great Central Railway and in 1889, collaborated with his brother Douglas Fox and H. W. Braddock in the construction of Marylebone Railway Station. He also assisted his brother in the construction of the Liverpool Overhead Railway, which was opened in 1893. Fox also assisted in the shoring up of several great cathedrals including St Paul's Cathedral and Winchester Cathedral in 1905, where he employed tie rods and grouting to bind the walls together. 1924 Published "Sixty-Three Years of Engineering Scientific and Social Work". 'The engineering profession has lost a very eminent member by the death of Sir Francis Fox, which took place on Friday last at his home at Wimbledon. Full obituary see The Engineer 1927/01/14 p 49 - p 50. This page was last edited on 26 June 2017, at 16:19.